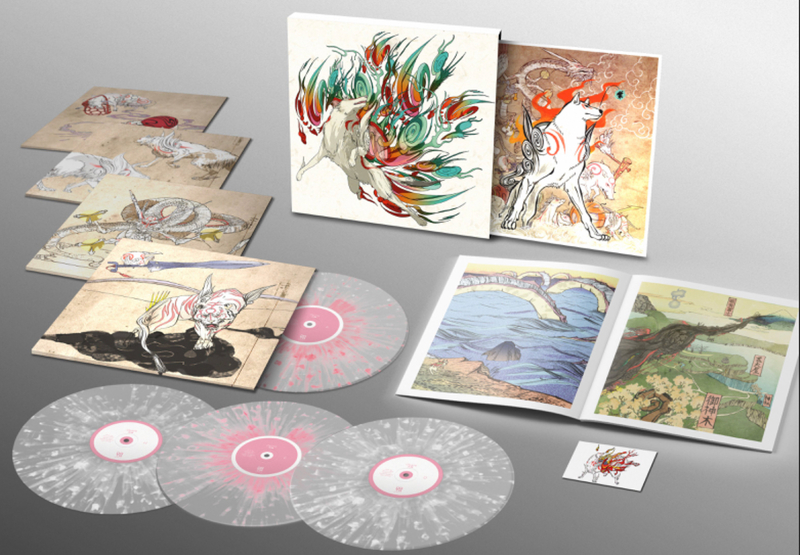 Okami fans can now enjoy its grand BAFTA-award winning soundtrack in vinyl as Data Disc takes preorders for the 4 vinyl Okami LP box set. 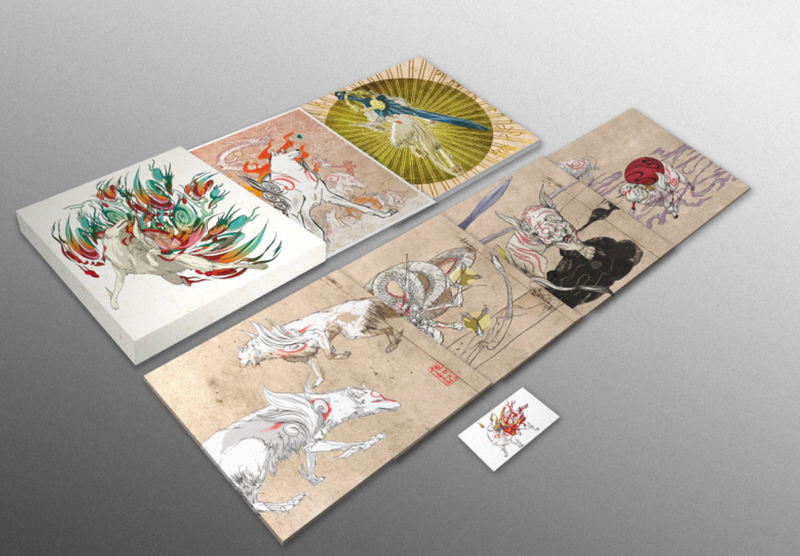 The box set will ship in October 2018 will come in a beautifully designed Okami themed hardboard slipcase. 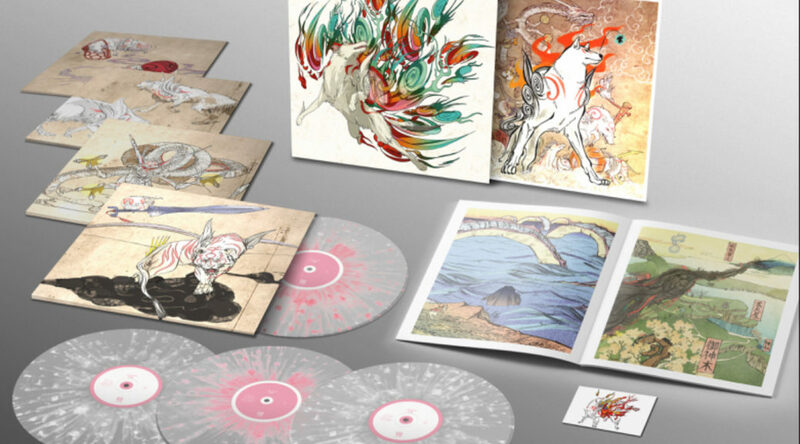 The box set will also come in three versions, a limited edition Frosted Clear vinyl with “Cherry Blossom Pink” and “Amaterasu White” splatter, a Frosted Clear version, and a Classic Black version. Each version will set you back £64.99 and you can preorder your copy here. DATA DISCS is proud to announce, in partnership with CAPCOM, the original soundtrack to one of the most beautiful and singularly artistic games ever made: OKAMI™. A selection of sublime and reflective orchestral tracks from the BAFTA-winning score, newly remastered and pressed on vinyl for the first time to coincide with the game’s re-release on Nintendo Switch. 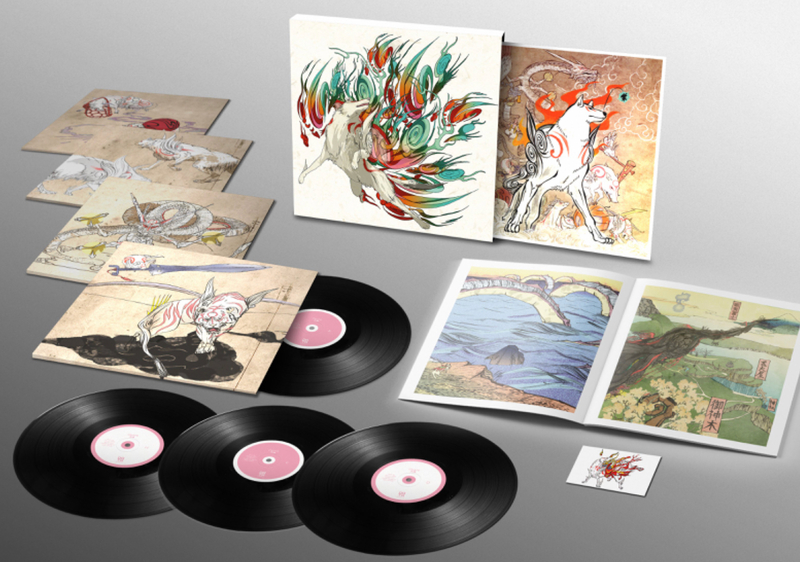 Originally released in 2006 and composed by Masami Ueda, Hiroshi Yamaguchi, Rei Kondoh and Akari Groves, the music of OKAMI perfectly embodies the creative beauty of the game and its recurring themes of restoration and resolve. Using traditional Japanese instruments and inspired by distant folklore, the score moves between peacefulness and danger, colour and darkness, echoing the dualities of the natural world and transporting the listener to an ancient Nippon that never existed, yet feels like a half-remembered dream. OKAMI is one of the most contemplative, unique and unequivocally beautiful game scores ever made. NOTE: The limited edition will only be available between 1st – 15th August (closing at 10:00pm UK time). Anyone who orders during this period will be guaranteed a copy. Please also see notes below.